Before we officially welcome fall this weekend, I am looking for every reason possible to keep cooking outside while the weather is still great. This hearty salad is easy to throw together for a weeknight meal and a good excuse to fire up the grill to char some tomatoes and slices of salty, delicious halloumi cheese. 1. Make a quick pickle out of the sliced onions by allowing them to soak in a mixture of pomegranate molasses and apple cider vinegar. 2. 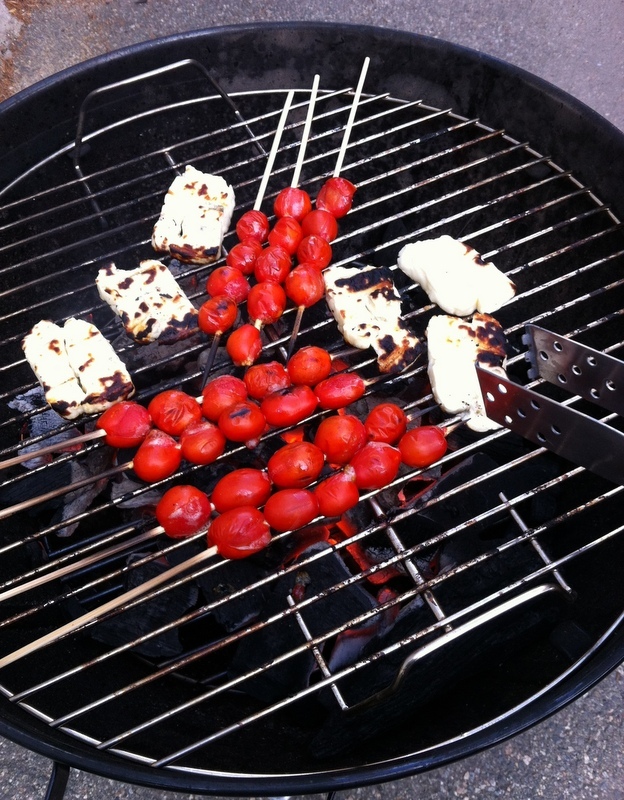 Grill halloumi and tomatoes so they have a nice, even char. 3. 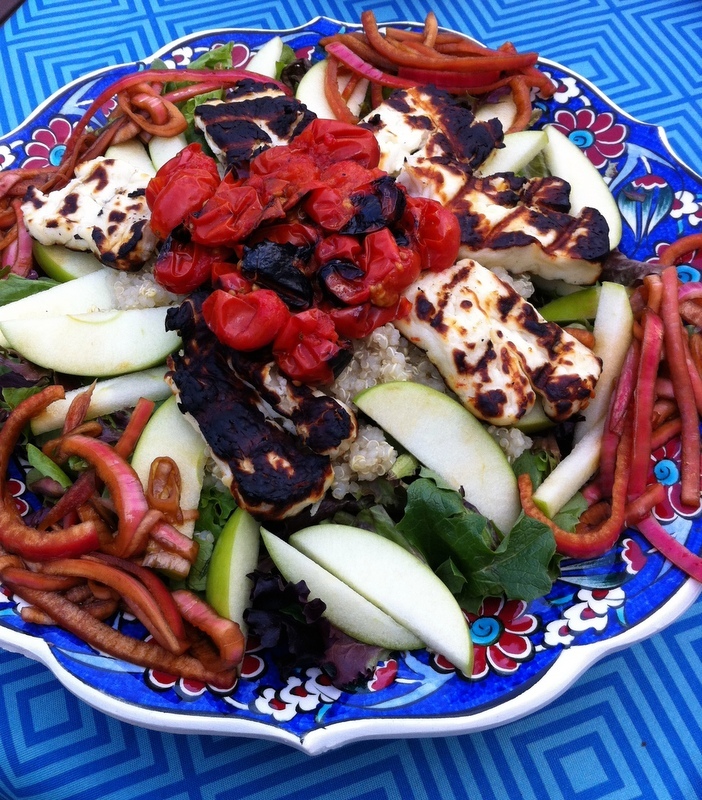 Arrange salad greens, quinoa, and apples in serving bowl. 4. Top with cheese, tomatoes, and onions and serve! 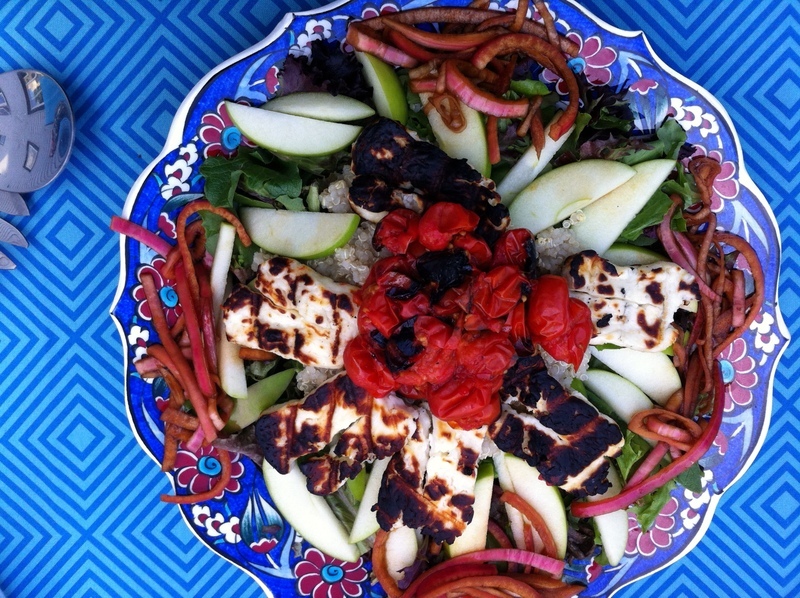 This entry was posted on September 19, 2014 by mezzeanddolce in Mezze, Salads and tagged apple, halloumi, onion, quinoa, tomato.